We believe that businesses succeed when marketing tactics are employed on a strategic foundation. Businesses that know who they are, who they serve, and why they’re in business have a better chance of seeing positive results and gaining long-term success. Moda Partners is a top provider for modern-day marketing techniques and creative growth strategies. We begin each project by analyzing where our client is in their business journey. We recommend an approach that considers business objectives and strategic direction, as well as work already accomplished. We uncover each client’s vision and goals and create a plan to achieve them, ensuring our recommendations are rooted in a solid foundation. The Discovery is a facilitated program that helps business owners and marketers establish clarity and confidence in their businesses. We also provide a Business Playbook, which serves as a foundation for developing strategic and tactical plans going forward. Many businesses struggle, become stagnant or lack return on digital marketing investment. In most cases, this is due to a lack of proper planning and clarity around who they are serving and why they are serving them. Our goal is to help our clients develop a solid strategy to confidently invest in resources, increasing chances of success. Based on the information gathered from the Discovery session, our team will then develop a Business Playbook, which provides a customized solution and implementation plan that meets your business objectives. 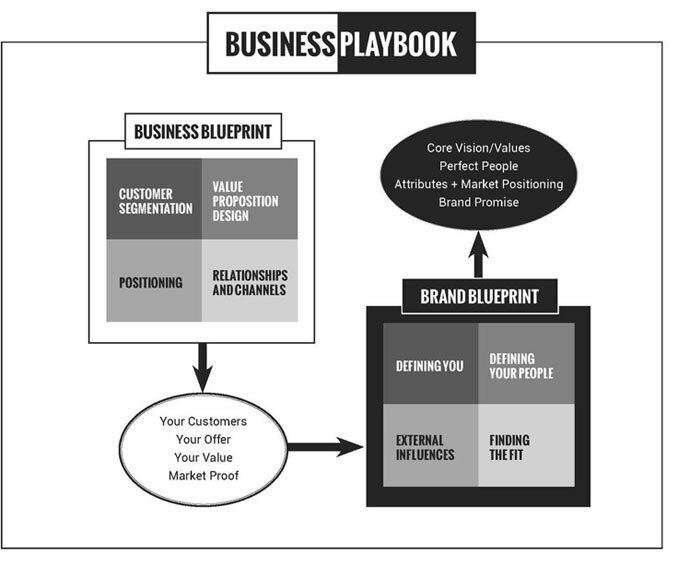 The Business Playbook will also include a blueprint that lays out the specific marketing strategies and activities that will help your company reach your digital marketing goals. In addition to the Business Playbook Summary, we will offer recommendations on digital platforms, templates, softwares and service plans as appropriate to your business, resources, industry and goals. Building from a strong foundation and 360-degree approach based on information gathered from the Discovery, Moda Partners offers various marketing options to assist with implementing your digital marketing strategies and Business Playbook. Moda Partners is available to act as your marketing team, a complement to your internal team or to ensure that you have the resources and tools to manage internally. The recommendations provided in the Business Playbook Summary are customized for every business, industry and budget. *Service plan recommendations are determined based on findings from Discovery Session. Whoe is this plans for ? Starter plan desgined for companies new to inbound, have limited budget interested in consulting, strategy building and priority services of blogging email and social. Designed for businesses seeking top of funnel support building website traffic, subscribers and reach.Great complement to an internal team. Our most popular plan desgined for companiesto support products or division, ramp up inbound marketing to drive growth, increase web traffic, leads and customers. For companies aggressive growth goals with fully integrated activities such as: search marketing, social media, content, strategy, analysis, automation and more. Challenging the status quo extends into how we deliver value to our clients. This is why Moda Partners operates on a point system when providing project quotes. Gone are the days of inefficient hourly billing. Moda Partners’ point system accurately represents a fixed unit of value allocated to the activities. The Discovery is priced at a flat rate service introducing the point system with service plans. Each point is applied at the project level, allocated monthly, and reviewed quarterly based on campaign development. This system allows our projects to be efficient, on-time, and on budget.